House No.11 is a 4-story building behind the well known local market. There are 10 private rooms and 1 dormitory (Dorm). The private room is equipped with air-condition, LCD Screen TV and hot shower. The big terrace is also available, where guests can see the Doi Suthep. 4 bunk beds in the dorm, which can consists total 8 members . Our Dorm's bathroom (share bathroom) also provides hot shower. We also provide a private locker for each bed in dorm too. Lastly, Our guesthouse is FREE wifi!! 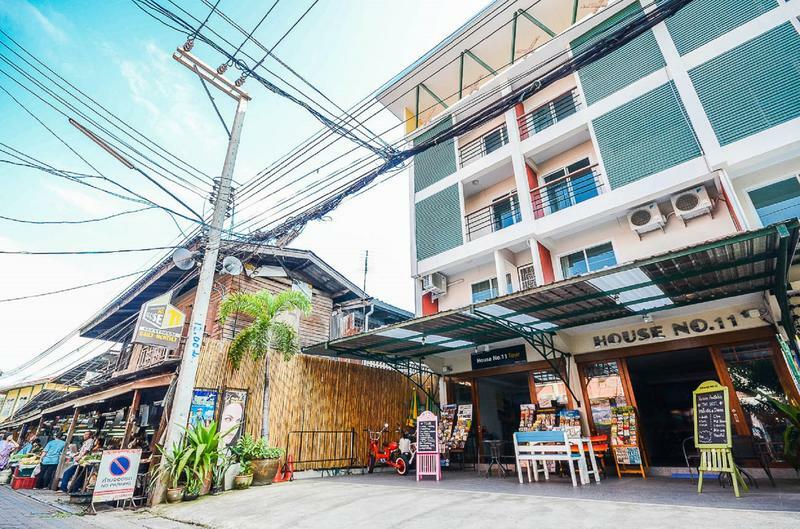 Our Guesthouse located only 15 minute driving from Chiangmai International Airport, Chiangmai Railway Station and Chiangmai Bus Station (or just only 5 minute walking distance from Tapae Gate. We stand behind Sompetch Market or 50 meters from Moon Muang soi 6.